The weakness of the dollar has increased gold glitter. With 0.3 per cent COMEX gold has risen upwards of $ 1285. Silver gained nearly 0.5 per cent to $ 19.5 COMEX the looks. 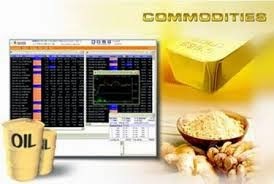 MCX gold on Wednesday in the domestic market closed down 0.4 per cent at Rs 27800, silver closed flat. Crude oil in the international market has not seen much action. NYMEX crude remains around $ 94. The Brent crude above $ 102.5 seems. 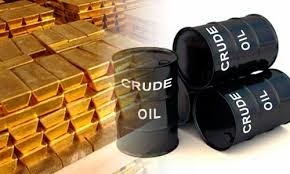 MCX crude oil slipped 0.3 percent on Wednesday to close around Rs 5680. For strong Dollar , the gold's gains censored. On COMEX gold get lead and running at $1280. Other side in Indian market, we see the gold price then it is in down side from Yesterday closed points. MCX Gold closed at Rs 27895 Yesterday and open at Rs 27863 today. It goes to low with -45 points and trade at Rs 27852. MCX Silver Leads at Rs 42006 with 21 points. Crude oil trade at Rs 5712 with 14 pints above side. In between high global market gold has crashed. On COMEX gold slip down to $1280. and through 0.04% fast gold trade at $1279. The Silver also get lead 0.04% and trade at $19 above side. Crude Oil move above side with $93. On NYMEX Crude Oil trade at $93.57 per baler with fast to 0.23%. And Brent Crude move above side with 0.14$ trade at $102 above side. ﻿The gold price in the domestic market turnover of Rs can get new direction. Rupee may trade in the range of 60.10 to 61.50. The price of gold traded in the range of Rs 27500-28500 on MCX to be seen. The silver is likely to be in the range of Rs 41000-44000. After 5 days gold stop decreasing. On Comex gold seen near to $1280. And crude oil has down continuously and it near to $94. On MCX Gold has seen down side with -63 points and trade at Rs 27750. Gold closed at last Rs 27813 and open at Rs 27774. Today there were no chance to Gold move above side and stay with positive points. MCX Silver also down today. It gose to very low side from last 5 days. MCX Silver trade at Rs 41908 with -47 points low side. Crude Oil in positive zone, it above side with 3 points lead and trading at Rs 5681. Gold October future down to 1.62 % . Gold Future market closed at Rs 27756 per 10 gram. Silver September Future down to 0.57% and trade at Rs 42100 in future market. On MCX Base metals are low side. Copper future market closed at Rs 424.95 per kg. Crude oil September future market has fast to 1%. In future market natural gas closed at Rs 235.30 and down to 1.29%. I think Gold and silver after some time trade low price. Indian Gov. work for decreasing the 2% import duty on gold. MCX Gold and Silver grow up in international market again. But on COMEX gold rate stand down side to $1300. Crude oil and Brent crude both are slip down. Aggri commodity doing ups and down. On NCDEX Dhaniya trading in down side with -25 points. Soybean also going in down and trad at Rs 3414 with red marks. Castor-seed move below with -31 points and trade at Rs 4235. Gold trade at Rs 27762 move over with 15 points and trade positive zone. Silver move above side with +36 points and trade Rs 42116. Copper price 426.4 with 0.38% above side. 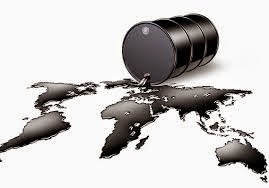 On NYMEX Crude oil 0.16% crash and stand at $94 in down and Brent crude above trade $102 per beral with 0.20% down . Gold : Sell MCX below Rs 27750 target 27680 stoploss Rs 27830. Get more info and trading calls please fill free trial form. Copper down in market by -2.45%, casterseed up by 1.02%, gold down in market by -0.66%, silver down by -0.41%, crude oil down with -0.44%, aluminum also down by -0.04%. maximum commodity stay with red color. future trading in gold and silver are beneficial. because market are not stay in one position. it moves up and down continuously. 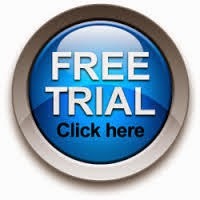 fill the free trial form and get market tips and live calls daily.. I think today gold and silver move fast up after 04:00 PM. Little bit chance to rupee has closed at low side. 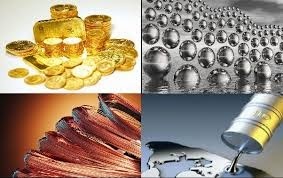 lower rupee and international power affected on base metals. little bit chance to Base metals has strong. Nature Gas lose today up to Rs 232. 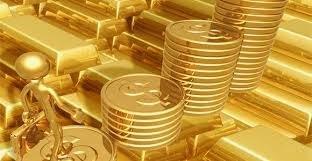 Gold Calls : Buy MCX below at Rs 28070 target 28095, 28130, 28165 and stop loss Rs 27965. MCX Silver has down up to -239 points and trade at Rs 42116 with low side -0.55%. 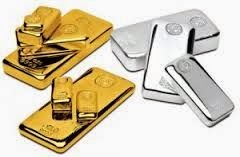 Sliver Calls : Buy MCX above 42070 target 42170, 42270, 42370 and stop loss Rs 41770. From yesterday market has get slow and goes to down side. MCX Gold get down side to -84 points. Gold trade at this time Rs 28165 with -0.32% below. Gold open today Rs 28558 and its last close was Rs 28252. It open high but little bit change. MCX Silver has open today Rs 42350, it goes after long time to below 42500. Silver trade Rs 42235 with 1 points above side. Gold : Buy MCX Rs 28170 target 28250 stoploss Rs 28115. Sliver: Buy MCX Rs 42250 target 42550 stoploss Rs 41050. Gold-silver in the international market is improving. The crude oil is increasingly showing and crude brent is flat. COMEX with a gain of 0.10 per cent of gold remains above $ 1300.70. Silver gained 0.01 per cent on the COMEX remains under $ 19.65. NYMAX 0.36 per cent, with crude oil is traded at $ 96.76. The brent is flat and crude remains above $ 101. Gold : Sell MCX gold of Rs 28300 target 28165 and stop loss 28360. Silver : Sell MCX Silver of Rs 42750 target 42700 and stop loss 42870. Today gold price in the international market has touched bottom of $ 1300. While silver is trading under $ 20. As you may know, last week on Thursday, the last trading day of the week was in the domestic market. Since then the price of gold has fallen about 10 dollars. October futures on MCX gold with -0.8 per cent is trading at Rs 28385. Agri commodities are showing the earning opportunity. According to Angel Commodities NCDEX Chana September futures today to sell at Rs 2940. Target of Rs 2850 can get. In this deal you will find stoploss at Rs 2960. Other commodity soya oil. The September futures is advisable to sell at Rs 651. The price may fall to Rs 642. In this deal you will find stoploss at Rs 655. MCX Gold August futures on the Multi Commodity Exchange, trading at Rs 28664 with - 30 points down side. MCX Silver September futures rose with 46 points and trade at Rs 43368. Since August Futures Crude oil slipped -0.15% down side and trade at Rs 5941. The Natural Gas August Futures with -0.68% below and trade at Rs 233.9. MCX is trading mixed in the base metals. Light in aluminum and copper is trading with decline. Zink down with - 0.04% and Nickel up side with 004%. Lead is being recorded at 0.37 per cent. Gold : Sell Gold below Rs 28685 target T1- 28550 and stop loss Rs 28820. ﻿MCX Gold October futures price is at Rs 28694 after declining 01.3 percent. September silver futures is in green and is trading at Rs 43 716. Crude oil declined by 0.18 percent August Futures is trading at Rs 5970. Although it has seen a steep decline in natural gas. This is a decline of 1.34 per cent and in August Futures is trading at Rs 242.50. ﻿NCDEX futures Kastrseed August 4305 with a gain of 0.87 per cent is trading at Rs. 1.19 gram per cent, with the August Futures is trading at Rs 2895. Worldwide production is estimated at a record oilseeds. Around 1.9 million tonnes in the current financial year is estimated to produce more. In the past 5 years worldwide oilseed production has increased more than 6 million tons. Also Karry forward stock is expected to be even higher than last year. It is expected to decline in prices of oilseeds. Soybean prices from current levels would be lower by Rs 300 per quintal. The production of oilseeds in 2014-15 is estimated at 52.20 million tonnes. MCX Natural Gas entry actual price Rs 245.1 above side. 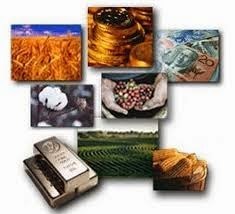 Today many major commodities in the international market is falling. 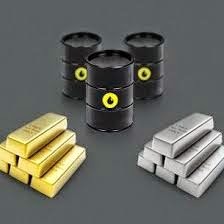 Gold, silver, crude oil are traded with weakness. With 0.21 per cent COMEX gold is trading at 1,307 dollars per ounce. COMEX slipped 0.48 percent while silver remains below $ 20. With 0.28 per cent NYMEX Crude Oil remains below $ 98. The Brant Crude is at $ 105.22 with a fall of 0.06 per cent. ﻿After last week's spectacular boom in gold today is pressure. On MCX, gold prices have slipped to Rs 28500. Silver continues to decline. With the decline of 0.3 per cent on MCX silver is trading around Rs 43 400. ﻿Base metal slight edge is visible today. Copper prices have crossed Rs 430. The price of copper on the London Metal Exchange has again gone beyond $ 7000. The nickel is seeing 0.2 per cent. However, aluminum, lead and zinc is sluggish. Soybean early fall is over now. NCDEX soybean prices again has come up to Rs 3560. Let me tell you Madhya Pradesh in central India, including in the event of rain has improved. The soybean crop is expected advantages. commodities looking in red color. MCX Gold previous close Rs 28604 and open today Rs 28569. 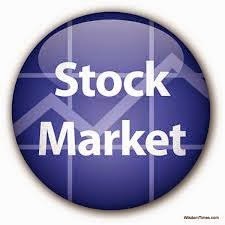 It down to -60 points at this time and trade at Rs 28540 with -0.24% down side. MCX Silver trade at Rs 43443 with -142 points. Its last closing at Rs 43580 and today opening is Rs 43515, but it moving up and down and stand at -0.34% down side.﻿With gains in crude oil and natural gas start-up businesses. Markets open in green on base metal in the domestic market. Castor, mustard, guar and declining business with soy. Hello Traders.. Its all news for you . 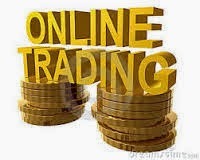 I Hartley with for you to get my company tips and earn more money in commodity market. Today market seen in positive side. maximum commodities are looking on green color. Only Aluminum, Zink, Nickel, and lead are goes to down side. But it not yet to go fast in down, it fluctuate in both direction. MCX Gold cross the line at 28000 and reach at Rs 29015 with 245 points above side. MCX Silver has trade at Rs 44180 with 359 points above side . Crude Oil are low but positive zone . It Trade at Rs 6051 and move to above side with 64 points. MCX cardamom prices in July fell 2.79 percent. In the spot market, 3.80 percent in July, red pepper, turmeric and cumin 1.40 per cent to 2.35 per cent witnessed. 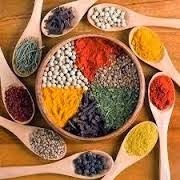 According to experts in the coming months is likely to pick up strongly in packed spices. September Turmeric futures may reach 7300 per quintal. In the coming days, with the prospect of declining wholesale buyer can purchase turmeric is large. Weak monsoon sowing this year is lower than last year whose impact on the output can see. Also last season due to lower prices at the farmers have sown. September futures at Rs 12,000 per quintal seeds by the end of the year the business might show up. In fact, demand is likely to grow from Syria and Turkey. Tiki on Kharif crop is eyeing the market. Buy Gold above 28640 T1- 28670, T2- 28700, T3- 28730 with stop loss Rs 28580 . Buy Crude Oil at 5970 T1- 5985, T2- 6000 with stop loss Rs 5940 . Sell Natural Gas at 242.5 T1-238.5, T2-236.5 with stop loss 246.00 . Sell Gold below 28350 T1-28320,T2-28290,T3-28260 stop loss 28450. We take Gold- MCX Gold are closed yesterday at Rs 28114 and open today Rs 28175. Gold has trading at this time Rs 28300 with 187 points above side. We take Silver- MCX Silver open today Rs 43498 increased to its last close Rs 43381. Silver trading at Rs 43638 with 259 points move over. If we see Aggri. commodity then it is also moving up side. Dhaniya closed at last Rs 11813 and open at Rs 11899. Dhaniya trade at Rs 11832 with 10 points above side. Soybean trade at Rs 3596 with Rs -11 points down side. NATURAL GAS- Current price Rs 234.1 with -1.6 points. 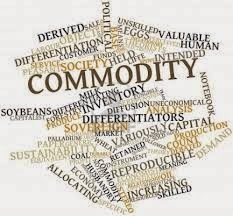 Hello friends, today how you expect to commodity market. but all the base metals are looking rad marks. market has going to down side. Aluminum is 0.65 per cent and 0.54 per cent lead to weakness. Zinc is trading down 0.48 percent. Copper has seen the slowness of 0.44 per cent. Nickel has seen a decline of 0.1 percent. These are all expressions of August Futures. August NCDEX Jeera futures are trading flat and is trading at Rs 11180. MCX crude palm oil futures for August is 0.27 per cent to Rs 518 after weakness. MCX Gold and silver are also looking up side. Gold are open at down from yesterday closing points. Gold open at today Rs 28073 and previous close Rs 28100. MCX Gold has stand at this time Rs 28119 above side with 15 points above. MCX Silver has also shown in up side but its happened not from today. Today Silver open Rs 44005 and yesterday closing at Rs 44121. Silver just has goes down side with -38 points below and stand at Rs 44069. MCX Crude Oil has stand at Rs 5998 with -16 points below from last closing points. Crude Oil close yesterday at Rs 6014 and open at today Rs 6009 down. Gold - Sell Gold below 28150 target T1- 28100, T2- 28050, T3- 28000 stop loss Rs 28215. Crude oil- Buy crude oil above 6000 target t1- 6015, T2- 6040, T3- 6065 stop loss Rs 5900.
silver - Buy Silver above 44080 target T1- 44180, T2- 44280 stop loss Rs 43910. Base metals are trading mixed today is enough. Copper, lead and nickel pressure. The trick is flat aluminum and zinc. With 0.25 per cent copper is trading below Rs 435. 0.7 per cent nickel, and -0.2 per cent lead as slipped. Today is the sharp decline in soybean. 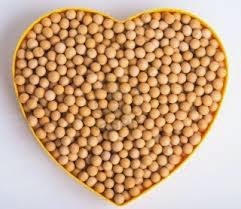 NCDEX soybean prices fell nearly 1 per cent. Rather than having good rains in many parts of Madhya Pradesh soybean cultivation is expected to benefit. While soybean prices in international markets last week's disastrous. Castor seed yields expected to grow due to the sharp decline in prices. Castor seed futures price fell nearly 1.5 per cent. Indeed, in many places in Gujarat Castor cultivation of good rains are expected to benefit. This is because during business today NCDEX Castor seed prices also slipped below Rs 4200.
get more MCX Free Tips..